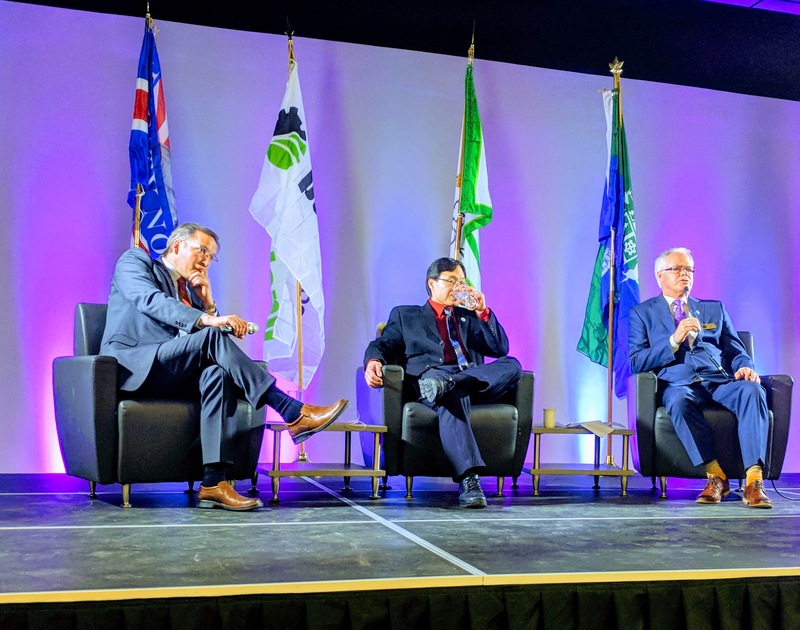 TRINUS was the Gold Sponsor, as well as the IT Sponsor, for the Annual Mayors’ State of the Region Address, on Thursday March 8th, at the beautiful Stony Plain Heritage Pavilion. Mayor Rod Shaigec (Parkland County), Mayor Stuart Houston (City of Spruce Grove), and Mayor William Choy (Town of Stony Plain) were the Guest Presenters, and they all pulled-off an excellent job of communicating messages of strong unity, mutual collaboration and potential amalgamation. The local chambers hosted this extremely well-attended (about 275-strong) event and offered Guests a delicious buffet dinner, complimentary wine and pleasing local entertainment. Our Mayors were most certainly the highlight of the evening, as they shared future-focused developments and plans for the region, through praiseworthy Video Presentations and the highly entertaining Q&A session held with Journalist Tom Strangward. All regions have notably taken a leadership role within the Edmonton Metropolitan Region Board, recently formed with a group of 13 members in the greater Edmonton area, representing 95% of the population. Our region continues to welcome new business to our many industrial and commercial parks, which continue to grow, despite economic challenges.